Grand Hotel Atlantis Bay slopes down to the seafront providing breath taking panoramic views of the Bay of the Mermaid. The outdoor swimming pool is perfect to cool off from the summer sun followed up by a tranquilising treatment in the hotels full spa, Hyd’or. When the sun sets, guests can enjoy a romantic evening at the restaurant, Ippocampo, serving traditional Italian cuisine in a candlelit outdoor setting. To capture the best holiday photos the nearby cable car is a must, transporting guests up to the city centre of Taormina, the journey provides captivating sights of the bay and beaches below. Hotel child prices apply to ages 3-12 years. The hotel has 83 rooms and suites. Enjoy the panoramic views of the Bay of the Mermaid from the outdoor terrace whilst dining on traditional, local cuisine at Ippocampo. 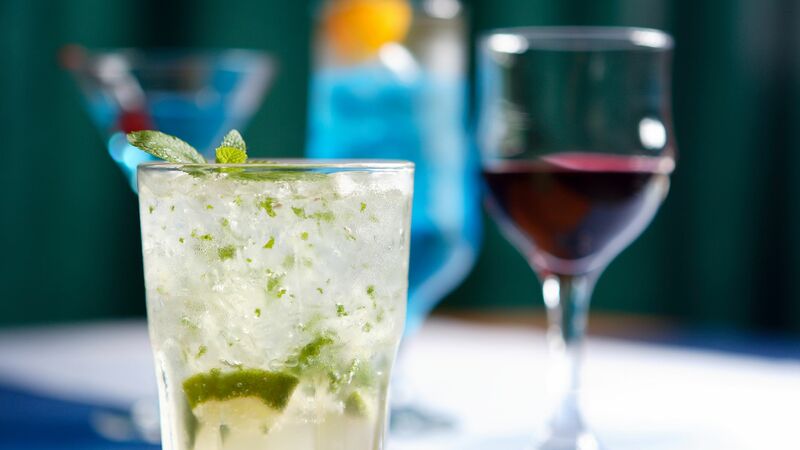 Enjoy a cocktail or an aperitif and be entertained by the music from the piano bar. The swimming pool is located on a large terrace. The hotel offers a fitness area with modern equipment. 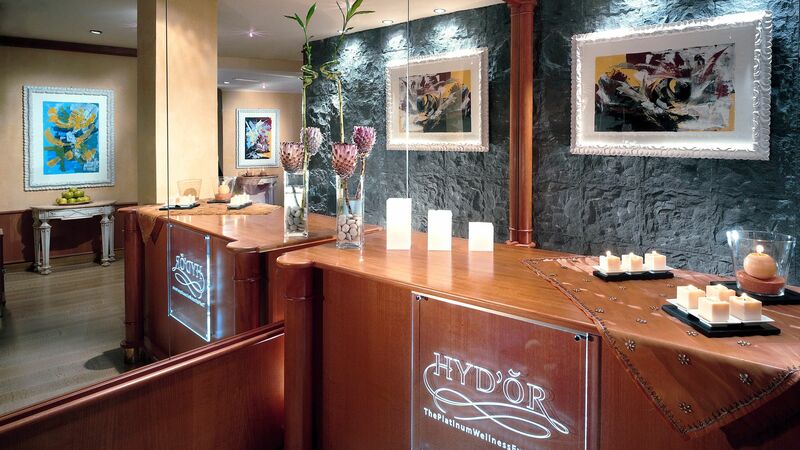 The HYD’OR Spa offers exclusive treatments to rejuvenate the body, mind and soul. The east-coast town of Taormina has a bit of a split personality. The upper part of town is all glitz and glam, with designer boutiques lining cobbled streets and a fantastic restaurant scene. Up here is where you’ll find the majority of Taormina’s sights – medieval churches, centuries-old towers and the well-preserved Greek amphitheatre. The Corso Umberto I is the centre of activity, with a myriad of small streets and alleyways threading off the main thoroughfare. A cable car links the upper town with Taormina Mare, where you’ll find a handful of bars, shops and restaurants, plus a shingle beach. Across the Gulf of Naxos is Mount Etna – a trip to this towering volcano is a must while you’re in Sicily, although you’ll be able to enjoy standout views of it from all over Taormina. Classic Rooms for Sole Use are elegantly decorated with a double bed, marble bathrooms and a furnished private balcony or terrace with views of the bay. Junior Suites with Front Sea View are furnished with a double bed, large living area and marble bathroom. The rooms have views of the bay from the private balcony or terrace furnished with armchairs, chairs and a table. Suites Exclusive Sea View Terrace have a separate bedroom, living room and marble bathroom. The suites are equipped with a furnished terrace boasting views of the bay. A personal mini wine cellar is available in the room with an ample selection of fine wines. Suites with Front Sea View & Terrace have a separate bedroom, living room and marble bathroom. The suites are equipped with a furnished terrace boasting views of the bay. Superior Sea View Balcony rooms have a double bed, marble bathroom and a furnished private balcony with views of the bay. Save up to 15% on the hotel price for holidays between 19 April - 03 November 2019 booked by 31 May 2019. Guests receive fresh flowers, a bottle of sparkling wine and one breakfast in bed for holidays between 19 April - 03 November 2019 when staying a minimum of 4 nights. The terrace looking out onto Isola Bella is gorgeous, and the view from the rooms over the bay was wonderful. There are ladders from the hotel's private beachfront into the sea, where you can swim out into the bay. The staff were very sweet and helpful with directions and recommendations. They helpfully made up our bed differently on the second night because we found the mattress a bit hard, which was great. Breakfast was lovely, lots to choose from, and the coffee is good. The location is great for Taormina - a two minute walk from the funivio station (which goes to Taormina every 15 mins until the last train down at 1am), so it's very convenient. They have a car park (it is 20 euros per night to stay, which is a lot but parking is at a premium in Sicily so if you have a car that's a cost to factor in). Sort of a cross between a beach holiday and a city break - perfect! 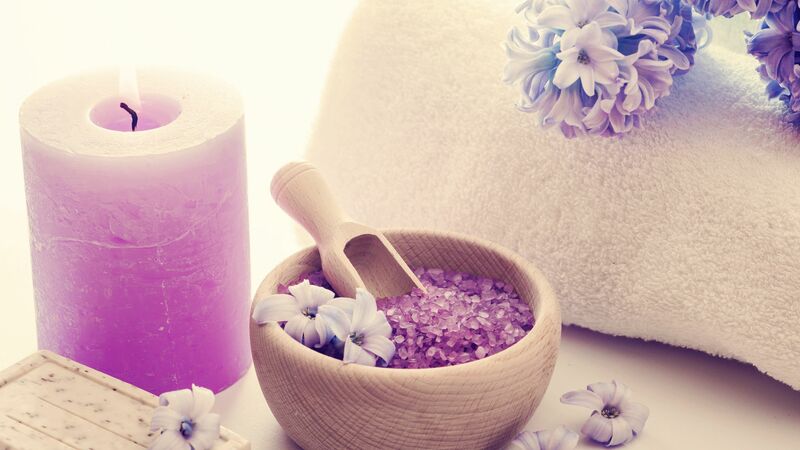 “ Awesome stay with the nicest service!! We visited this beautiful property in late Sept 2018 for our first trip to Sicily. After searching all over, we were delighted to find this hotel for a reasonable price and right on the water. It was everything we had hoped for and more!! The superior ocean view room was lovely, incredible view, nice and quiet, and beautiful terrace - worth every penny!! But the best part of this hotel were the extremely kind people who work here. From the front desk to the super fun bar, everyone was so good to us! Salvo and Alberto were standout amazing new friends who took the very best care of us and made our stay there so fun! If you visit, you must meet them!! And the piano player in the bar was wonderful to let us sing with him one night :) Can't say enough good things about this hotel. 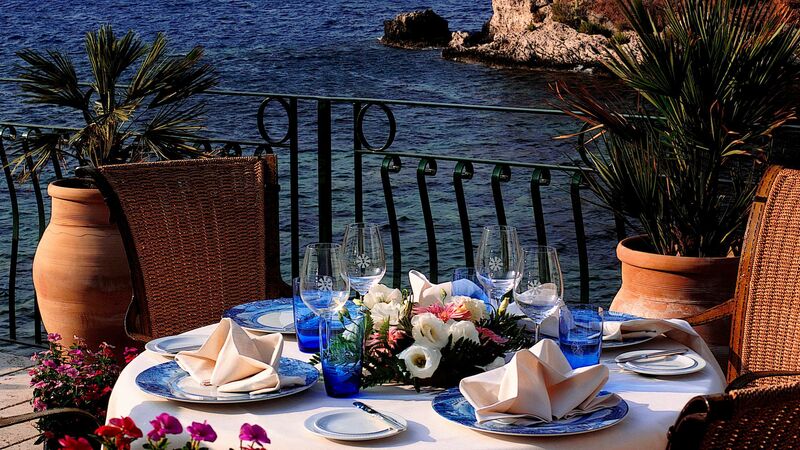 A MUST stay in Taormina! And be sure to check out Barcaiola right down the street, the lovely gift shop right outside the hotel gate (nicest people and cool treasures! ), and Vineria Modi up in the town up the hill (incredible!!). Thank you all again for such a wonderful stay! We hope to see you again!! 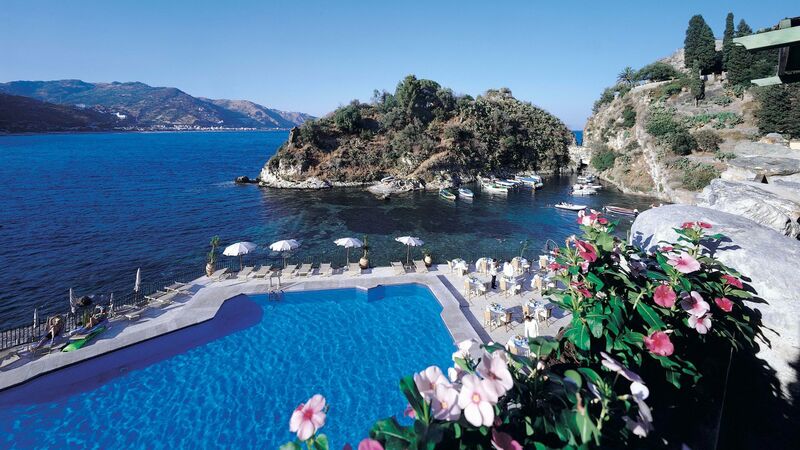 Fantastic location, best sea facing hotel in Taormina. Amazing staff, very welcoming especially Francesco, Gesuela and Angela, made our stay very memorable. The sea facing rooms have a breath taking view, they are spotless and the service is really great. We enjoyed an aperitif in the evening close to the pool area, right in front of the sea.. I can ensure it's a very romantic spot! I was very pleased with my stay and I hope to be back for a longer visit next time. Taormina is truly a jewel but finding a place like l' Atlantis bay was a fortune.The warm welcome from all the staff was appreciated starting from Rosario,Sonia and Alessandro at reception to Giovanni,Sanny and Vito on the beach.